As part of International Open Access (OA) Week, the University of British Columbia (UBC) is pleased to present its sixth Open UBC 2014 colloquium in support of its students, faculty, and early career researchers. It showcases two days of diverse events highlighting areas of open scholarship at UBC and beyond and is being held in conjunction with UBC`s Celebrate Learning Week. 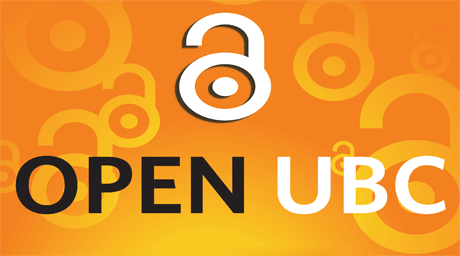 This year, Open UBC 2014 gives you an opportunity to come and hear guest speakers from BCcampus, the Scholarly Publishing and Academic Resources Coalition (SPARC), the Wikimedia Foundation, and Simon Fraser University. It also includes hearing about recent OA research and experiences from your UBC colleagues (faculty, undergraduate and graduate students) in these UBC programs/services: Latin American Studies, Chemistry, Computer Science, the Sauder School of Business, Education, Classical, Near Eastern, and Religious Studies, Land and Food Systems, Simon Fraser University Library, the School of Community and Regional Planning, the Centre for Teaching, Learning, and Technology, the Scholarly Communications & Copyright Office, Canadian Literature, Linguistics, UBC Library, Advanced Molecular Biology Laboratory (AMBL), and UBC Press. Other fun highlights include a student panel presentation session, some “live” Engineering Physics Project Lab demonstrations, and an opportunity to learn about Open Badges UBC. Register for any or all of these free, open to the UBC community and the general public sessions at: http://oaweek.open.ubc.ca/register/.